Welcome to the July Blog Train – my first blog train since I changed my designer name from Deli Scraps to Carin Grobe Design. If you’re curious about the “why” you can read about it in this post. But on to my freebie – actually there are two: one official and one unofficial, lol. If you get lost, here’s the home station for the train: Blog Train Blog! Enjoy collecting all the pieces of this great train! Thank you so much. I love the Glowing Embers Alpha!! 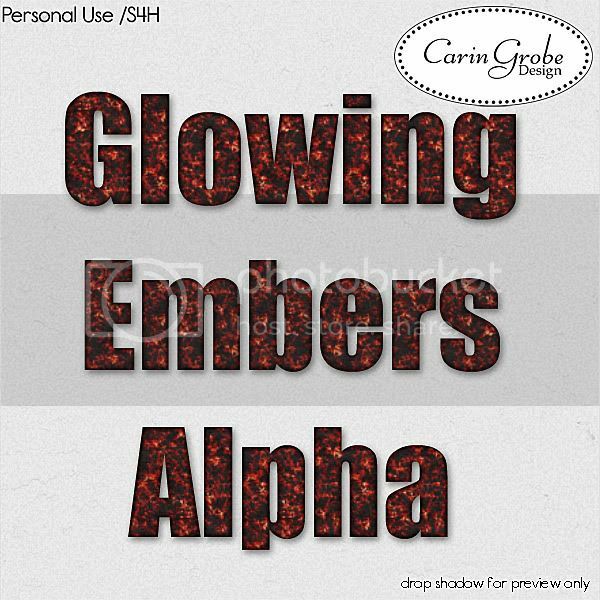 You’re right – the glowing embers is perfect for this theme! Thanks for both alphas! 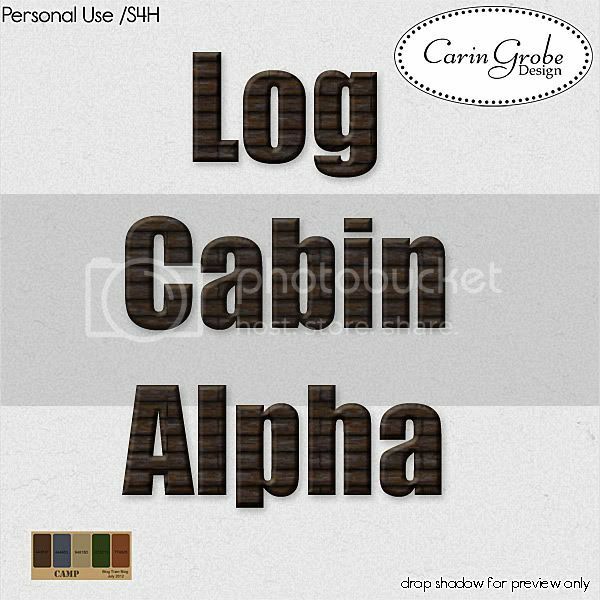 Thanks Carin – I do like the glowing red alpha too. Thank you soooo much! Love both of these, cannot choose between them as to which one I like better! two alphas! Both great, I’m glad you included the ember one as well it is so totally useable for backyard cookouts too! Great alphas! I can see using them for various themed layouts. Thank you! Thank you for participating in the Blog Train. I’m going to enjoy using the alphas — particularly the glowing embers one. Now if I can convince hubby that a camping vacation is a good idea. Thanks sooooooooooooo much for both alphas!!! Thank you very much! Love them both! Love the alphas, thank you!